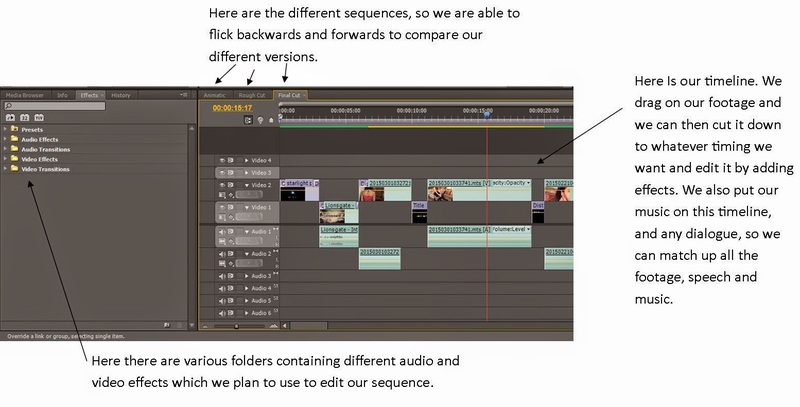 As you can see below, we have been using our edit suite to edit the footage from the rough cut. This is the same post production kit as we will use for our main sequence. We use a piece of software called Adobe Premier Pro for editing. We will put all our music, footage, effects and graphics onto our opening, using this software. A majority of the work we do on our opening is on Adobe as shown above. We also use a mac to create titles and graphics, using a piece of software called Livetype. 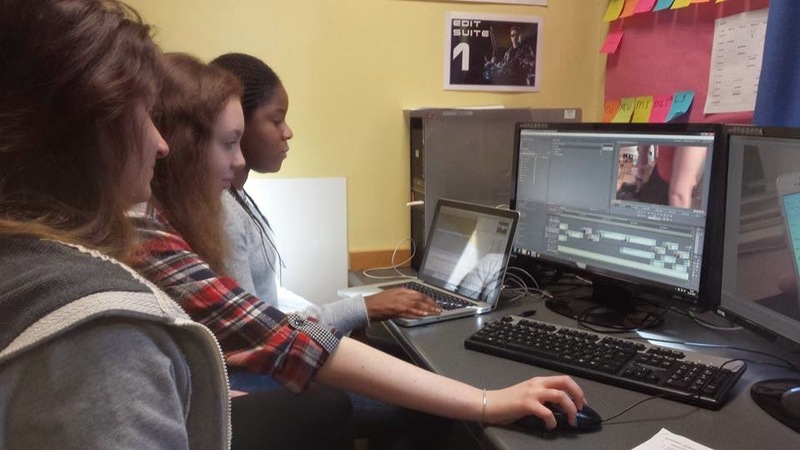 This is a picture of our group working at the edit suite, using the computer and the mac. 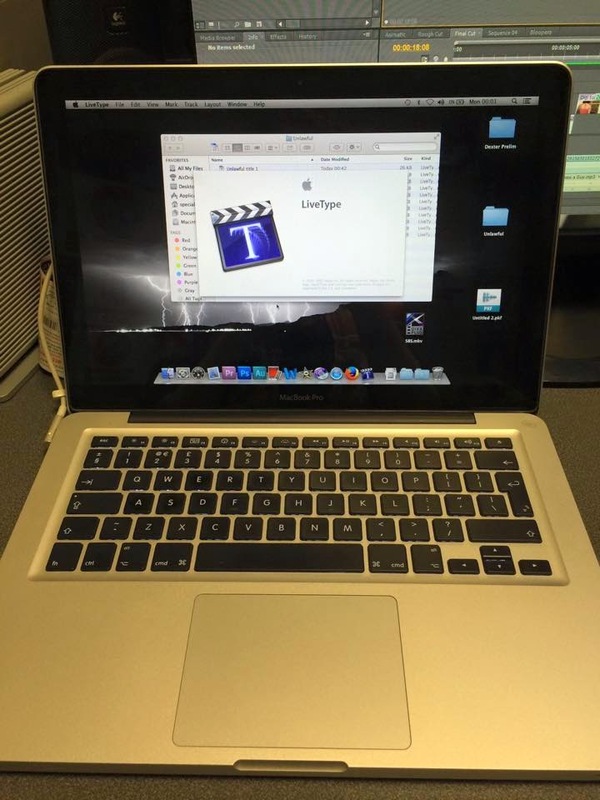 This is a picture of the mac we are using and the software, Livetype.